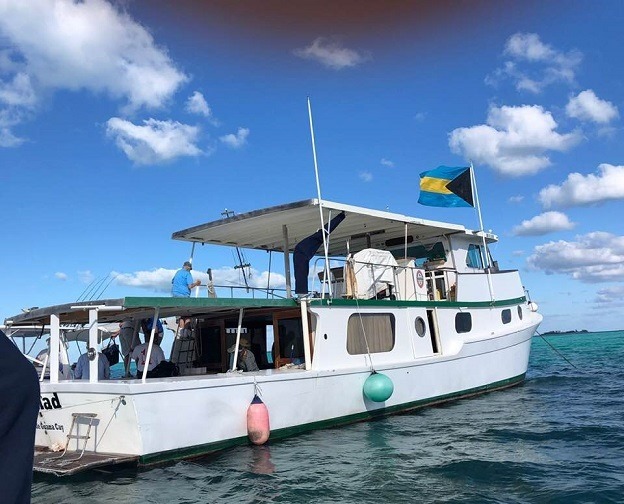 Want to spend a day on that gorgeous Bahamian water, but don’t have a boat? 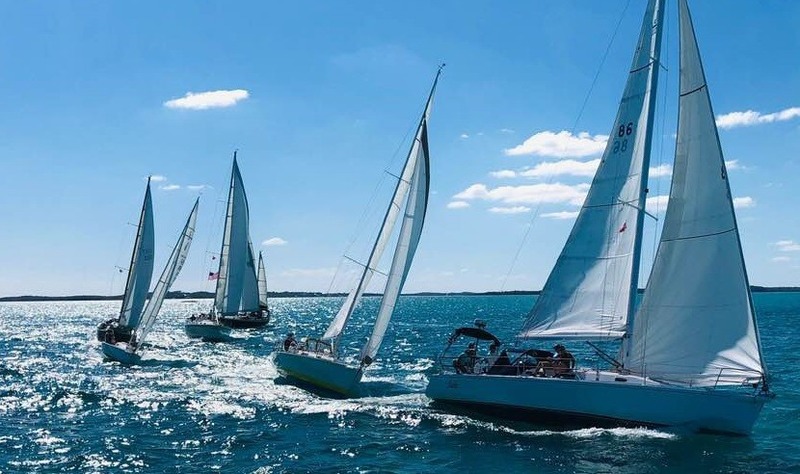 Join the crew of the Abaco Rage on the race committee boat. 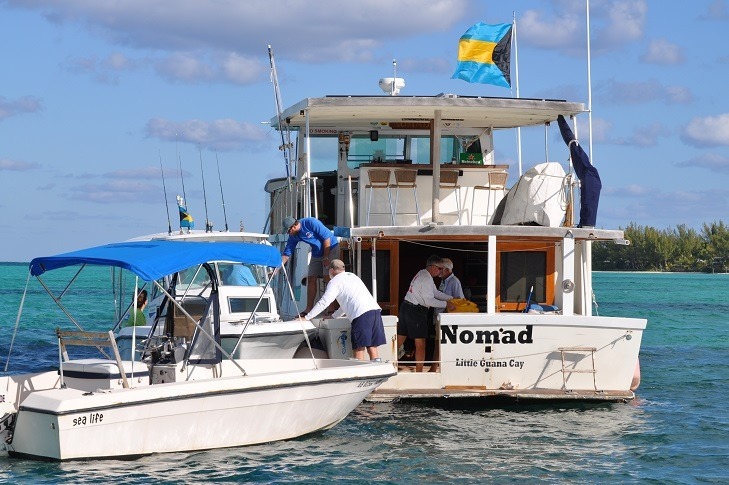 Nomad, owned by the Abaco Rage Sailing Syndicate (ARSS), served as committee boat for a two-day race last week. The members of the race committee – who sound the starting gun for the race and keep track of who finished when and who didn’t – need a boat to stand on during the races. 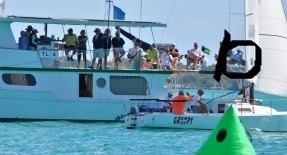 The committee boat also serves as the “mark” at one end of the start/finish line. So the ARSS offered Nomad, their power boat. She’s a beautiful old power boat with a wonderful upper deck for leisurely viewing the race boats. As well as for leisurely eating delicious home-made chicken wings and conch chowder. Or just soaking up the sun. Here’s Goldwin enjoying his day on the water. As “Grumpy Ol’ Men” finishes the race in first place. Two perfect, sunny days. We missed racing on Rage, but everyone loved the new committee boat. Rage will be back in the next race.